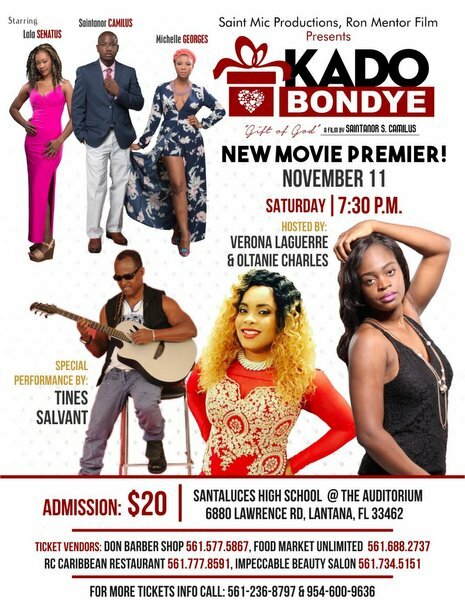 Haitian movie "KADO Bondye" will be playing at Santaluces High School in Lantana this Saturday, November 11 2017. 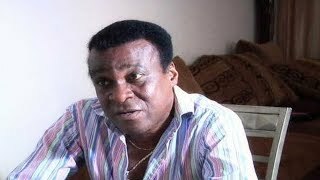 Haitian movie fans in and around Palm Beach County Florida, you are invited. KADO BONDYE (Gift of God) is the love story of a young Christian man, Ken (Saintanor S. Camilus), who falls in love with a young lady he discovers in a picture. Her name is Danielle (Michelle Georges). This movie showing will be hosted by actress Verona Laguerre and Oltanie Charles. Many special guests are expected so be there! Have you seen the Kado Bondye Movie trailer yet?